Archives: A House on Fire? This time last year, I published a small piece on archives in History Workshop Journal 72’s feature, ‘Coalition Cuts’. Ironically – though at this point I’m not focussing on the dispiriting history of The Women’s Library (TWL) – the peg on which I hung the article was the award of ‘UNESCO Memory of the World’ status to documents on woman suffrage, held in the Parliamentary Archives and TWL. I hoped to draw academics’ attention to the overall situation of archives and special collections within universities – which was, in a word, endangered – and suggested that because ‘no single body in Britain holds the ring for archives’ academic historians would have to take steps to support them. 2012 has exceeded any pessimist’s wildest imaginings with respect to archival resources in Britain. I’m not now writing to berate academics – far from it; they have been at the forefront of efforts to stave off shutdowns, sales and destruction. But I am accusing those bodies who do have a protective remit of gross dereliction of duty. In last year’s article, I referred to the Archives and Records Association (ARA), then a recent merger between the Society of Archivists and the National Council of Archives; amongst other things, it was set up as a secretariat for the all-party Parliamentary Group on Archives and History. Attempts at the time to get more than these bare facts from the ARA and the all-party group were fruitless: a promised reply from the ARA did not materialise and my email to a member of the all-party group, who might have been assumed to be friendly to HWJ, did not receive an acknowledgment. In spring this year came the first bombshell; London Metropolitan University announced that, if no alternative custodian came forward, it would withdraw funding from The Women’s Library. To be precise, it proposed to open TWL for one day a week with no dedicated staff for three years, and then think again. We were supposed to believe that this was not the same as closure, and to imagine that no harm could come to priceless items from being left untended, or inexpertly manhandled, for long periods in a building which, despite its aesthetic strengths, has always had very dodgy plumbing. From the women’s movement and the academic community came a huge public outcry; from the ARA and the all-party group, not a squeak. In June, it was announced that the archives of the Catholic Church in Scotland were being dispersed from their Edinburgh institution, Columba House, to no fewer than eight separate diocesan locations. In July, concerned historians at the University of Kent sounded the alarm as the Law Society broke up the Mendham Collection of rare books and archives by removing 300 of the most valuable items for sale at Sotheby’s; these have been on indefinite loan to the University and Canterbury Cathedral since 1984. 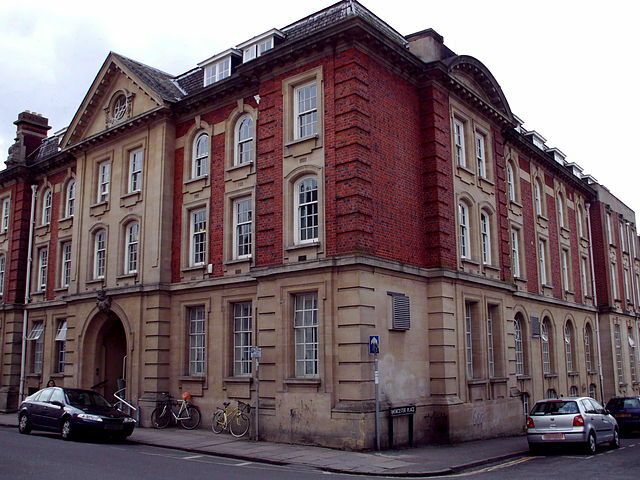 And worst of all these – although it’s not a competition – has been the latest news from Ruskin College, Oxford. Despite a copper-bottomed offer from the Bishopsgate Institute to house all Ruskin’s archives, the Principal has sent large quantities to be pulped and shredded, and it is left to the academic staff to halt proceedings and salvage what they can. The other day I stood politely at a reception at the House of Lords, organised to launch the Campaign for Voluntary Sector Archives, as representatives of The National Archives and of the all-party group talked about the good work they did issuing guidelines for the care and maintenance of organisational records. It was as if a bunch of firefighters were handing out leaflets on fire prevention while standing, apparently oblivious, next to a blazing building. When are they going to get out the hoses? Where is the political will to co-ordinate the efforts of different bodies working for archives? And who will create pressure on the Department of Culture to dedicate the funding they need – a fraction of the sum currently touted for the commemoration of 1914 – if these national organisations, even in such an annus horribilis, cannot find a voice?